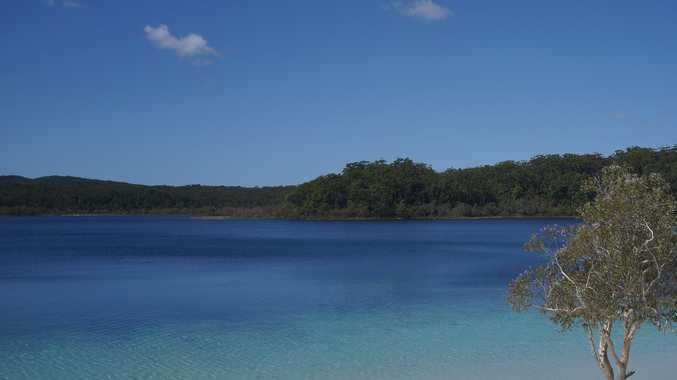 ONE of the most beautiful experiences we can have is to swim in Lake McKenzie on Fraser Island. It is the most incredible sensation, and it is wonderful to see the visitors to the island enjoying that swim, or simply sitting and taking in the beauty of the lake. I have been there several times but on my last visit someone had a radio playing. It gave an unpleasant atmosphere and it dishonoured the spirituality of the lake. I'm sure most people on the beach felt the same way. All lovers of Fraser Island know that one of the reasons we go there is to escape the trappings of modern life and get some peace. I ask the Fraser Coast Regional Council to please ban the use of radios at the lake. In the meantime, if you see someone using a radio, don't be afraid to ask them to turn it off and explain why. I hope that they will understand. Do you agree that visitors to Lake McKenzie need to just enjoy nature instead of playing the radio at the natural beauty? Join the discussion and tell us below.